Have the wild things no moral or legal rights? What right has man to inflict such long and fearful agony on a fellow-creature, simply because that creature does not speak his language? When Ernest Thompson Seton came to New Mexico, he little realized that a wolf would change his–and America’s–future. Born in England in 1860, Seton’s family moved to Canada when he was six. He showed artistic talent early and was entranced by the natural world. He found mentors in neighbors who encouraged him in his studies as a young man. He moved to New York City, attended art schools in London and Paris, became an animal illustrator on par with Audubon and an expert on animal anatomy and behavior. He published scientific papers beginning in the early 1880’s when he also began lifelong friendships with many of the United States’ prominent naturalists of the day. His reputation in both Europe and North America as an artist and naturalist was made by the time he was in his early 30s. In Paris again in 1890, Seton worked meticulously researching for a new book (The Art Anatomy of Animals which is still in use today). However, his eyesight began to suffer and he was advised not to use his eyes heavily for at least six months or he would become blind. In 1893, he arrived at a large ranch owned by wealthy easterner in Clayton, NM with instructions to kill as many wolves as possible. Although he had observed and painted portraits of captive wolves, Seton had not trapped them in the wild and set to the task with his usual thoroughness. His sixth wolf was found alive, with three feet in traps. Seton ordered the wolf captured and brought him back to the ranch house. It was found dead the next morning and Seton felt it was the result of a broken heart. Something changed for Seton during that visit to New Mexico. He wrote of the account with the wolf as the hero in “King of the Currumpaw” which was joined by other animal stories in Wild Animals I Have Known, in print continuously since first published in 1898. Thus began a whole genre of writing where animals and nature are heroic and worthy of respect, while Man is often cast as the aggressor. These sorts of stories based on the real behavior of animals helped sway public opinion on matters of conservation legislation. Along with John Muir, William Bartram, John James Audubon, and John Burroughs, Seton is credited as being on the forefront during the creation of America’s conservation movement. He continued to write scientific articles eventually publishing more than 10,000 in his lifetime as well as 42 books. He became a student and admirer of Native American and First Peoples culture, a champion of conservation and of education, too, in his role as introducing the public to the outdoor world through his early Woodcraft camps–which later led to his co-founding the Boy Scouts of America. Seton lived his last sixteen years just outside Santa Fe, NM teaching the values and respect for the natural world that he had espoused throughout his life. 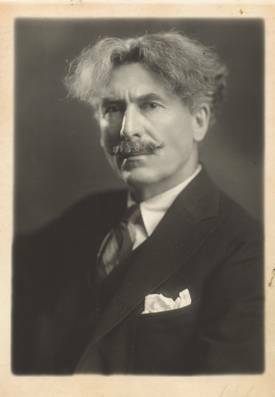 Until May 8th, the exhibit “Wild at Heart : Ernest Thompson Seton” is showing at the New Mexico History Museum in Santa Fe. If you get the chance, you won’t regret seeing his paintings, books, and delving further into the biography of this giant of his time. This entry was posted in Nature&history and tagged biography, conservation, ernest thompson seton, history museum, New Mexico. Bookmark the permalink. Thanks for reminding me I haven’t seen this.